Picture book month is coming to a close, but big celebrations, surprises, and planning are happening in the Barrow Media Center. Just today, I have been brainstorming with teachers about upcoming units and almost every grade level is preparing to begin persuasive writing. We are thinking of sponsoring a writing contest in the media center where students write persuasive essays on the importance of picture books, but I’m still playing around with this idea and what I might actually make the “topic” of the contest be. Also, today, I was surprised to find an envelope in my box with a donation from a group of community members in honor of someone’s birthday. I was able to order several new picture books (and chapter books) to add to our collection. 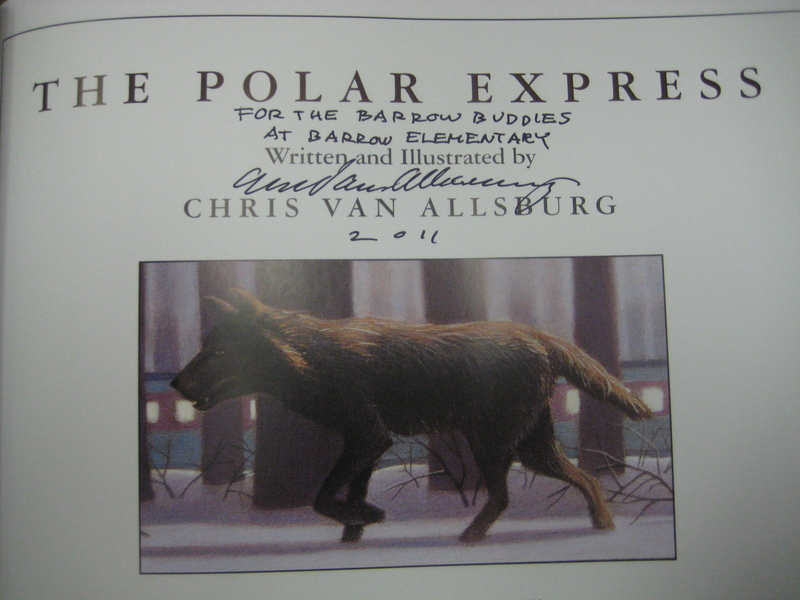 Finally, a big surprise arrived at our school today: an autographed copy of The Polar Express by Chris Van Allsburg. 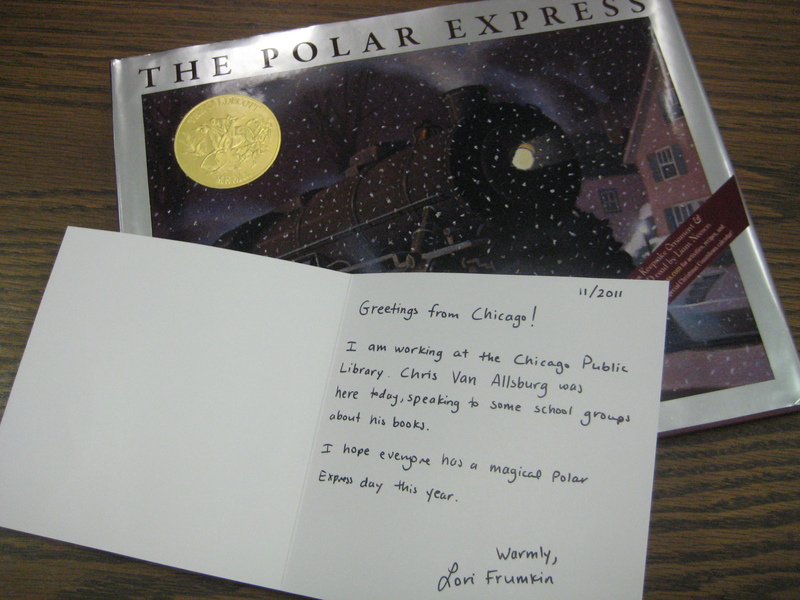 Mrs. Lori Frumkin used to be a teacher at our school and is now working with the Chicago Public Library. She heard Chris Van Allsburg talking about is books to several groups, and she remembered how special Polar Express Day is at Barrow and got a copy of the book autographed for our school. Thank you so much, Mrs. Frumkin! We are planning our Polar Express Day for December 15th and decorating has begun. We’re also planning a Polar Express Alumni Night. Later this week, Mrs. Rockholt and I will be preparing hundreds of certificates for students who participated in picture book month. What an exciting time! This entry was posted in Events, New books and tagged brainstorming, donations, picture book month, Polar Express, surprises.